No more chaos in the morning. See how this family use washstand with drawer and mirror cabinet to keep all things perfectly organised while they do their morning routine. 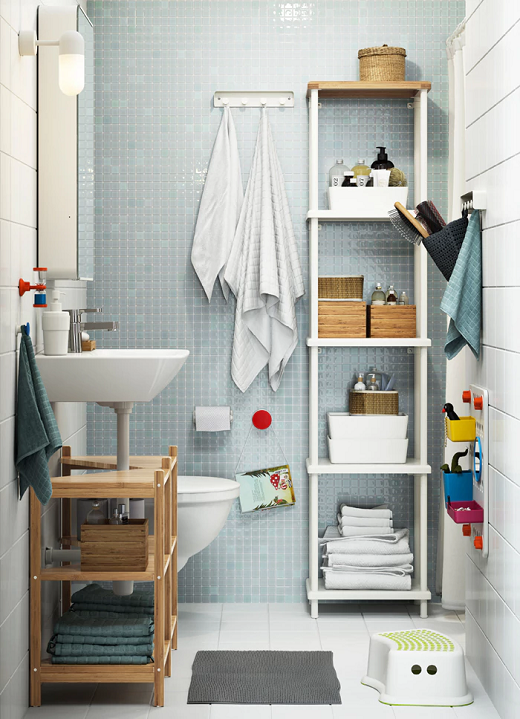 Make the most of your small bathroom with our shelves. You can choose the narrow shelf with lots of space to store your family's things. Give yourself more space to get ready in the morning. 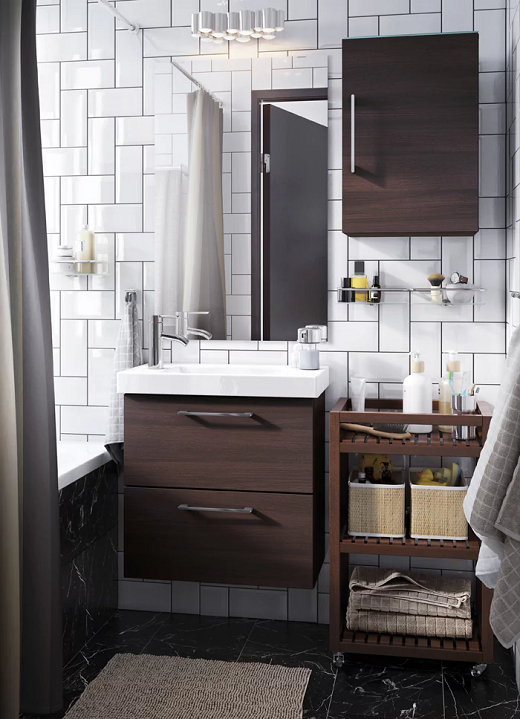 Complete your bathroom with our cabinets to keep all things organised and give you more room for morning routine. 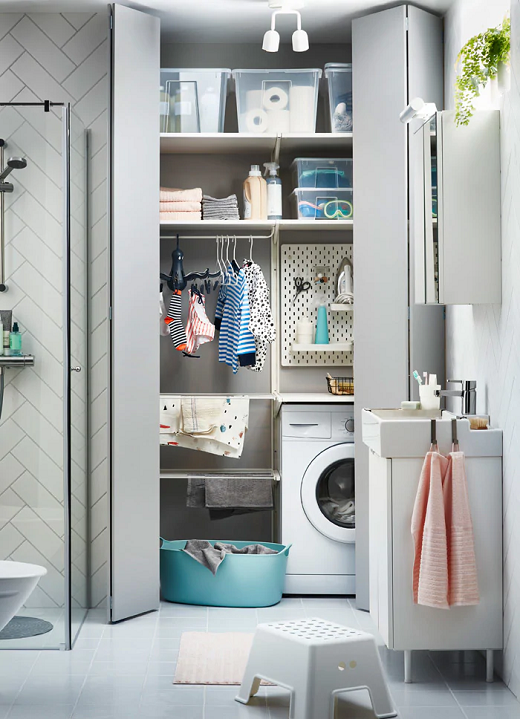 Tucked away behind two tiny doors is a laundry station that fits and functions in this small bathroom. The best part? Close the doors, and you won’t have to be reminded of the clothes. Fresh, fun and feeling good! 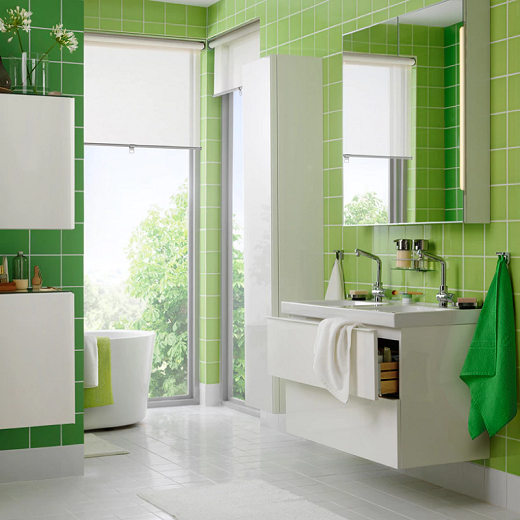 Looking for a modern bathroom that's fresh, fun and organised? 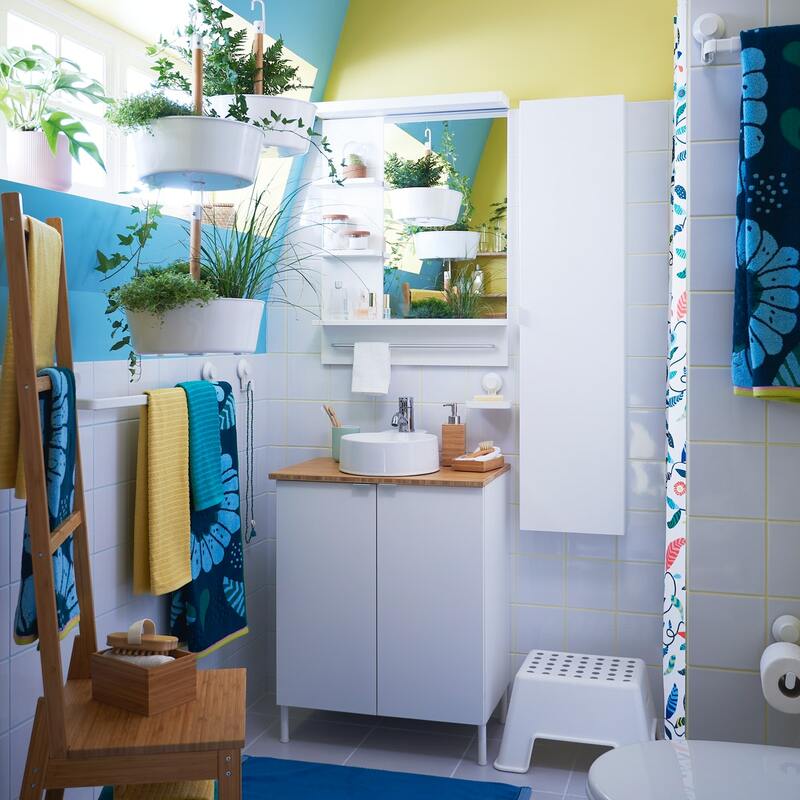 Add some colorful textiles to bring happiness in your bathroom. 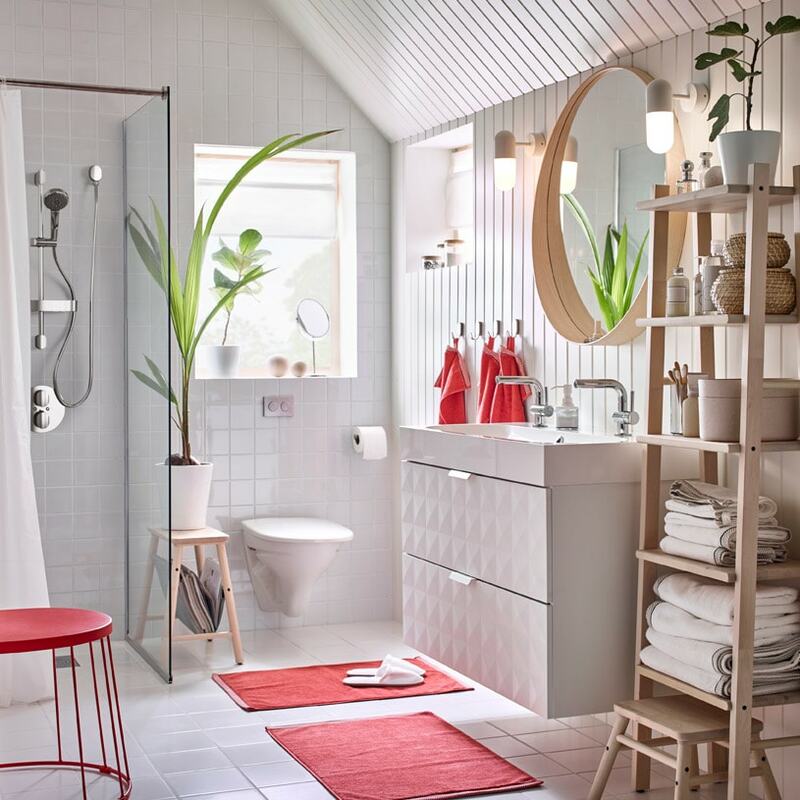 Too many stuff at your bathroom? 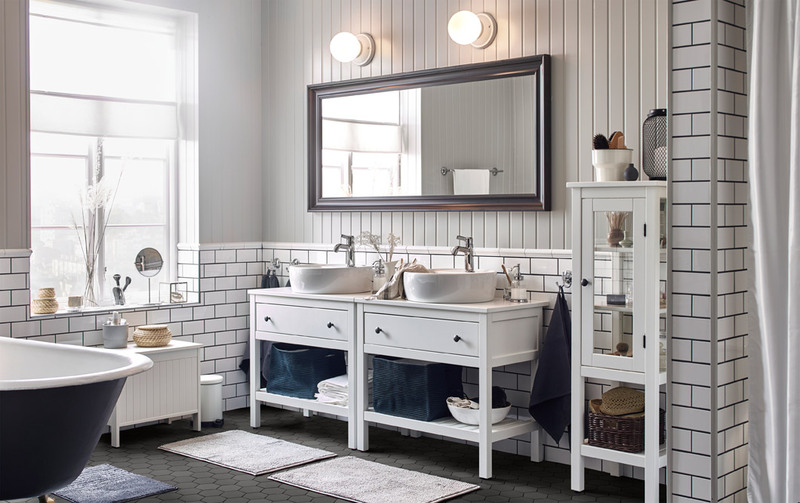 Discover our washstand with 2 drawers and wall cabinets. 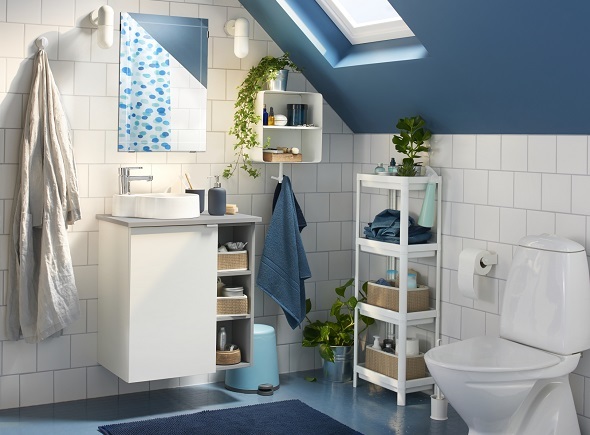 The slim size makes it ideal for small bathroom, and the storage will give you more room for your morning routine. Have limited bathroom area? Our wash-basin cabinet with drawer and trolley are ideal for staying organised and making the most of space in a small bathroom. Want a bright start to your mornings? Have a look at this white bathroom that lets you bathe in light. 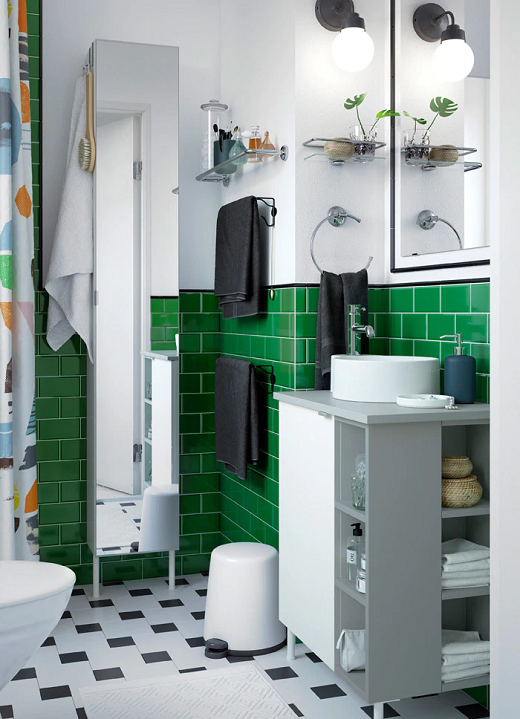 Make sure your small bathroom give you more space to do some activities. 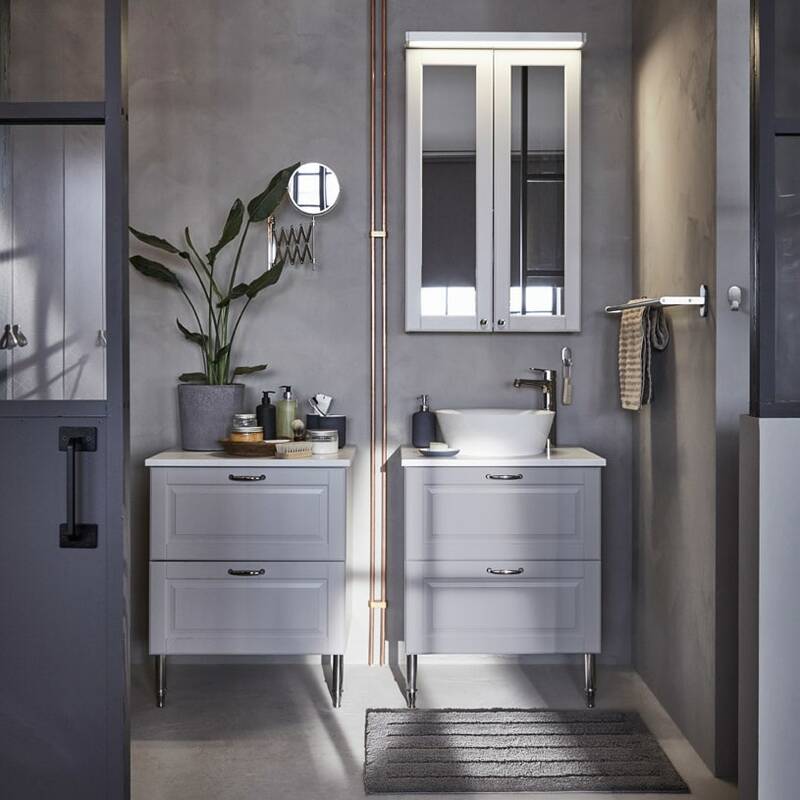 See how this bathroom using washbasin cabinet with 1 door and 2 end units to keep all things organised, such as towels and soap refill stocks. 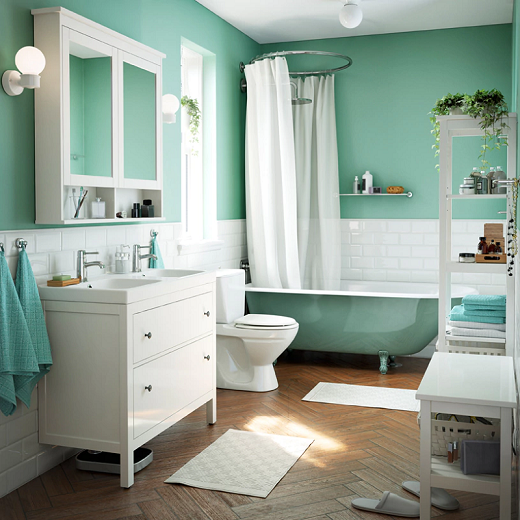 Turn your small bathroom into the most calming place. 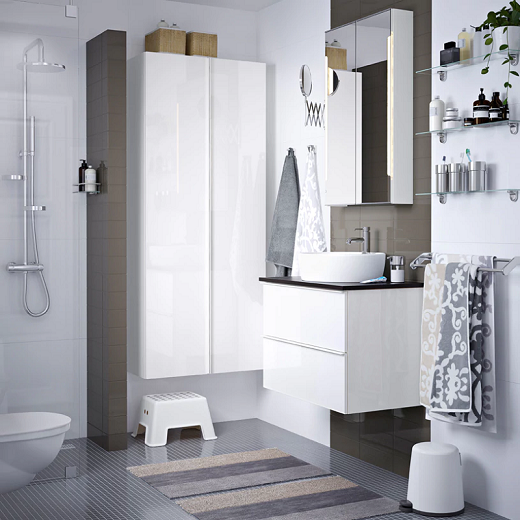 Just add some furniture in white and match with brown bathroom accessories or other soft colours. Complete the interior with hanging plant to give a natural touch. The bathroom is often the smallest room in the home, where two (or more) family members are stuck inside at the same time. Dividing shelf and cabinet spaces are just a few ways you can optimise your morning routines. We often talk about streamlining your bathroom routine. But just stop for a moment and breathe. 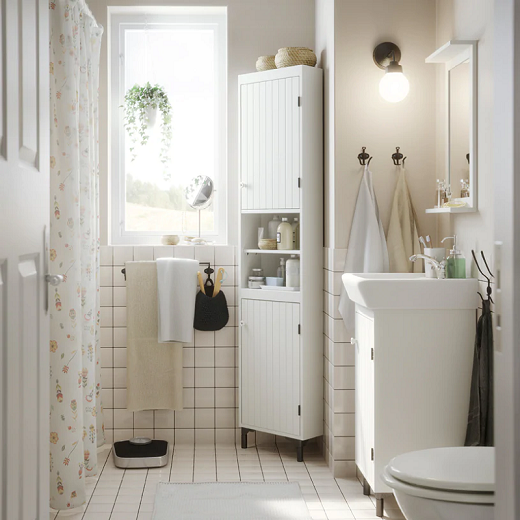 Make your washroom a place to relax, and an efficient space to have multiple people in the same room when it needs to be. Surround yourself with the things you love in your bathroom; the trick is to keep your treasures away from moisture, so they can last longer and give you that extra glow in the morning. 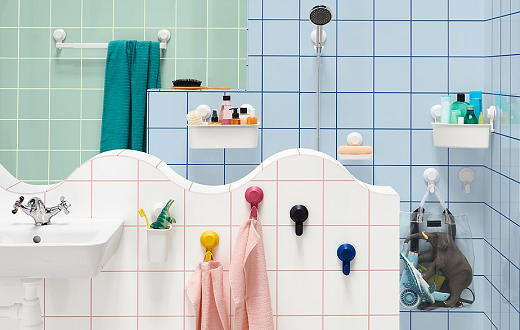 Make a rented bathroom feel just like yours. Simple textile refreshes, no-drill solutions and small space organisation help to express your personal style. Calm, clutter-free sink surfaces and orderly insides can help make your mornings just a little easier to wake up to. 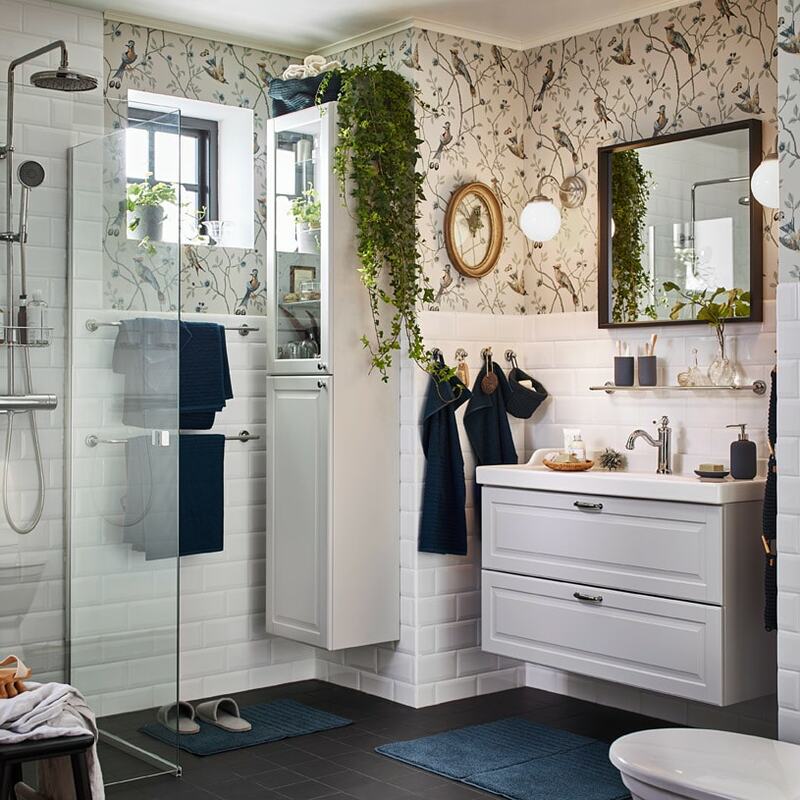 It’s possible to keep a stylish bathroom when you have a large family. The secret? 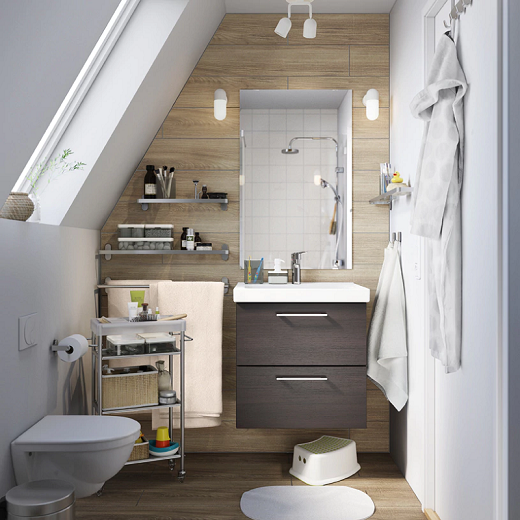 Functional bathroom furniture with secret storage compartments, and open shelves for easy access. 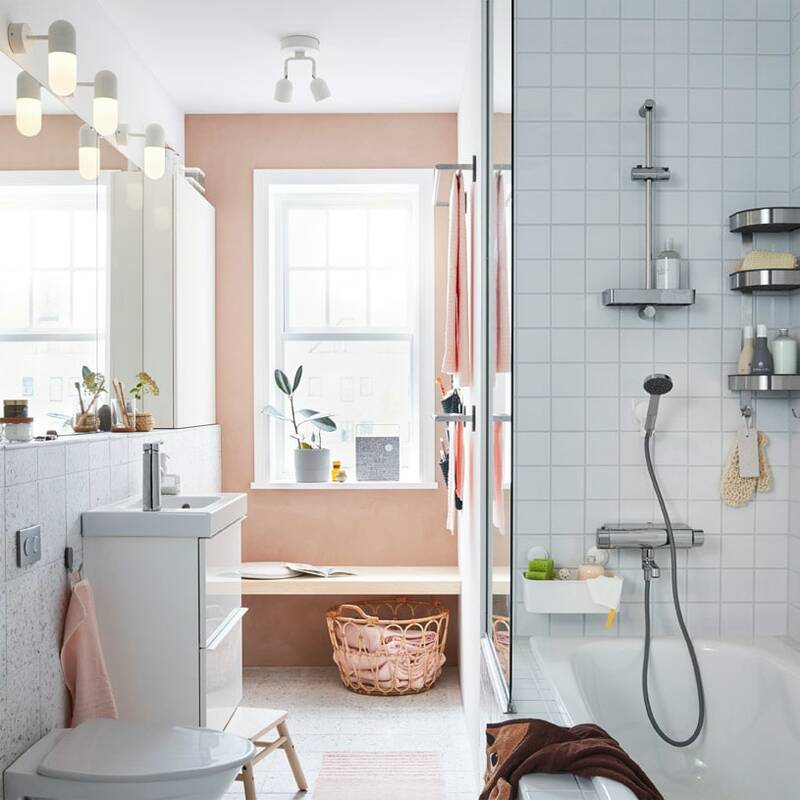 A bathroom with lots of airy spaces with a luxury feel makes everything just a little bit better, smoother and less stressful – whether if you're getting ready at the same time in the mornings or if you're going out on a lovely dinner in the evening. Create a spa-like feeling in your bathroom with some simple tips and tricks like lighting, music, pretty details and soothing colours. 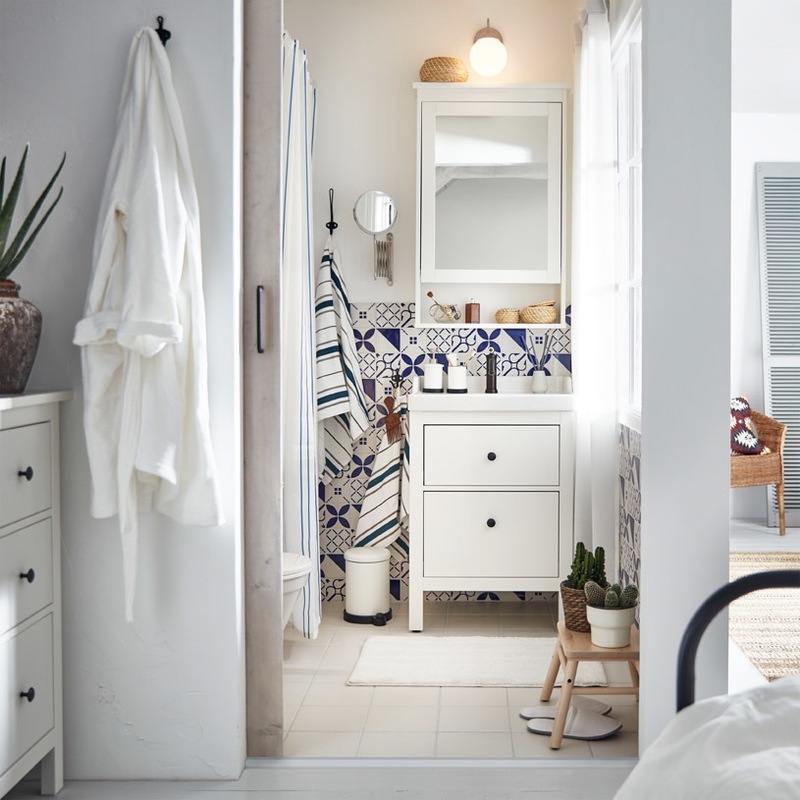 Create a calm, clutter-free, and traditional bathroom that goes hand-in-hand with the room that's connected to it – HEMNES offers a wide range of both closed and open storage solutions that will complement your personalised look (and needs) perfectly. Create a laundry routine your whole family can follow. 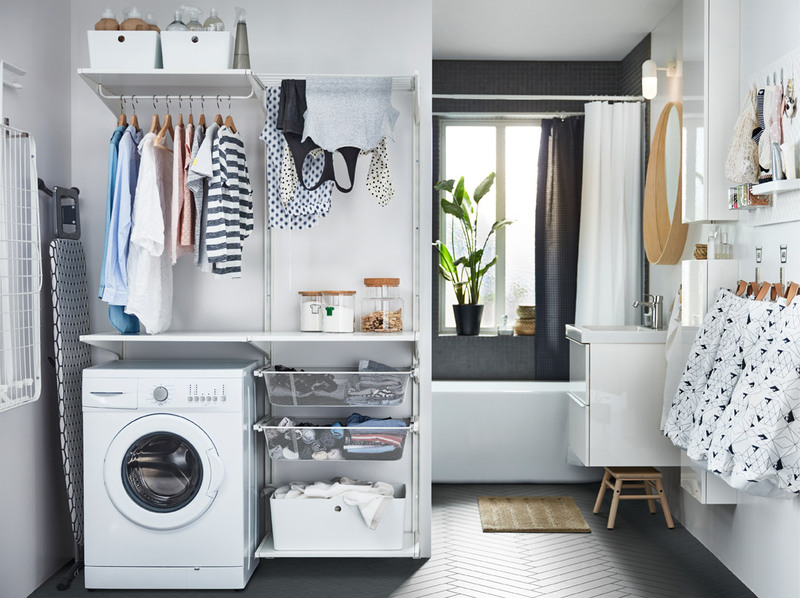 If your bathroom and laundry room share the same space, use up every awkward space to place shelves, boxes and laundry bags. 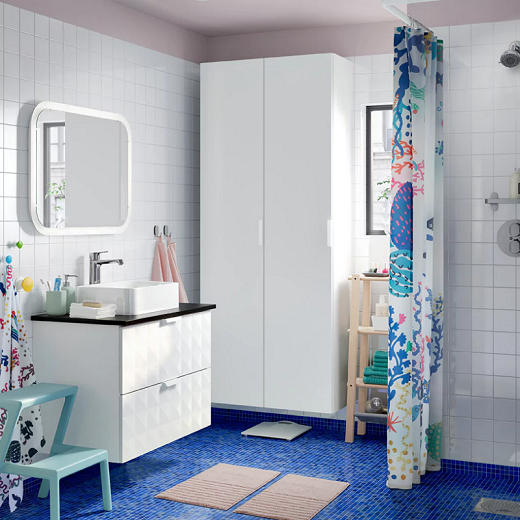 We always talk about streamlining your bathroom routine — but what about finding time for your little ones, too? Squeeze in some “we time” and make your bathroom a place where your children can get ready and un-ready with you, from Monday to Sunday. Busy lives need a place to unwind. 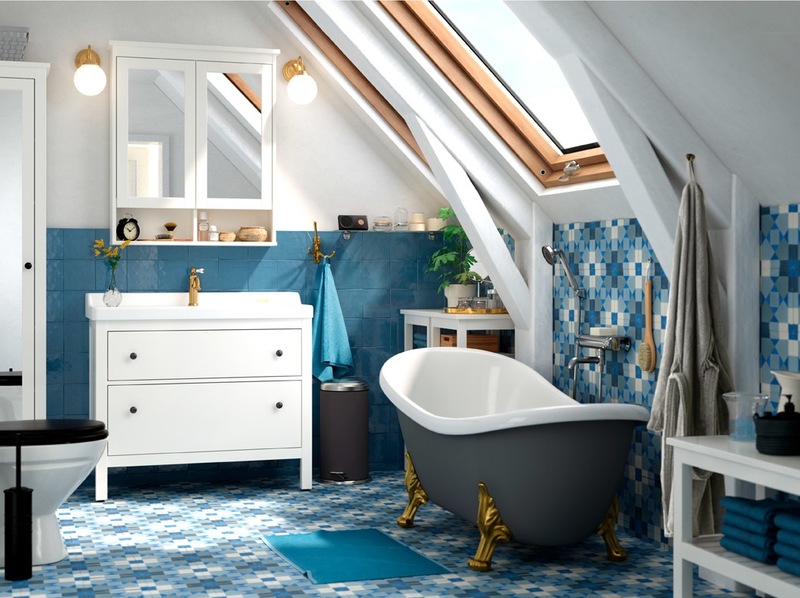 Transform the bathroom into a soothing retreat to refresh your mind and body. With storage solution to organise everything you need, get a clutter-free look and calm feeling of relaxation in your me-time room. 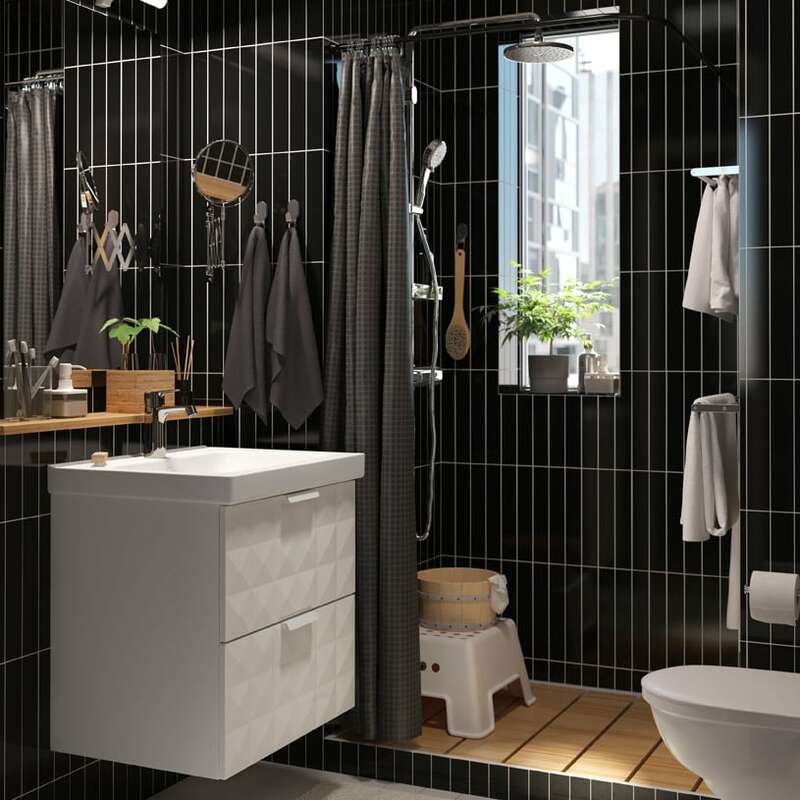 Having a bathroom in limited size will not be a problem if you can arrange it in creative way. Create a narrow bathroom that looks fun with the help of using bold colors and also pleasant patterns.